Everybody enjoys a little slang. Especially when it comes from a time period like the ’20s. Glamordaze feeds this enjoyment with sarcastic flapper slang. A potato isn’t a “starchy, tuberous crop” like we know it, but instead it’s a young man shy of brains. A corn shredder is a young man who dances on a girl’s feet and a face stretcher is an old maid who tries to look young. 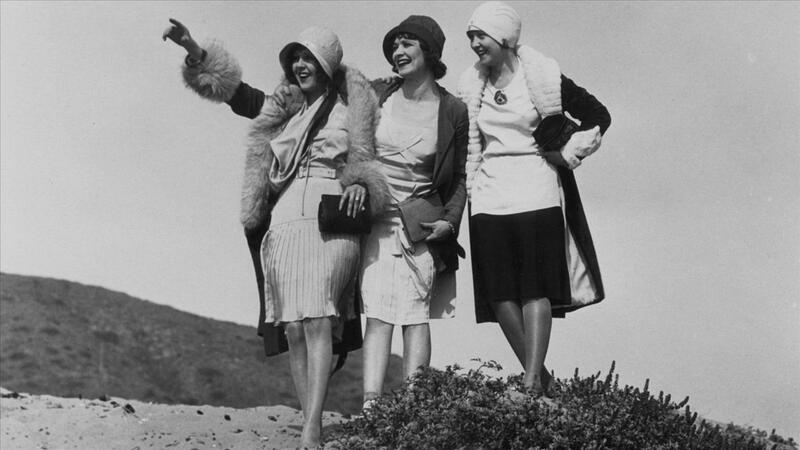 Here’s a list of 10 most sarcastic flapper slang words. Maybe you can work some of it into your daily language! Umbrella- young man any girl can borrow for the evening. Rock of Ages- any woman over 30 years of age. Face stretcher- old maid who tries to look young. Cellar Smeller- a young man who always turns up where there’s free liquor to be had. Being Edisoned- getting asked a lot of boring questions. Finale Hopper- a young man who arrives after everything is paid for. Potato- a young man shy of brains. Rug Hopper- young man who never takes a girl out. A parlor hound. Sarcasm was high on the list for women in those emancipating days of the 1920s! Check out the complete A to Z Flapper Slang Guide.